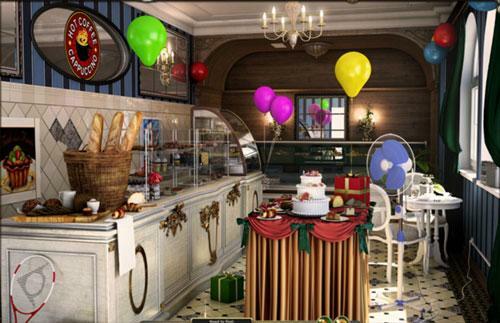 The Boulangerie in Rooms of Memory - Play Free Hidden Object Games Online! Even a trip to the bakers in the morning can bring you a surprise or two and there is a lot of fun items hidden in this scene. As you travel through time and space you need some breakfast along the way, and this gorgeous Boulangerie looks just the place, but of course there is something more going on here too.